While looking at some ‘Mary-Jane’ style shoes recently, I considered how strongly they often suggest youthful – especially feminine – innocence and how they acquired this meaning. Flat shoes with a strap across the instep have been worn for thousands of years, and by the early twentieth century, they were well-established as a popular children’s style. They became known as ‘Mary-Janes’ after the little girl character in Richard Felton Outcault’s Buster Brown comic (1902-1920s), who was used by the Brown Shoe Company in advertising images for this strapped style. Our associations with Mary-Janes continue to be influenced by images of children from early twentieth century western visual culture. 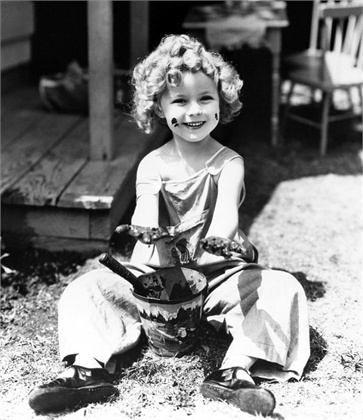 Child star Shirley Temple wears Mary-Janes in many of her 1930s films and publicity shots, often paired with baby-doll dresses and exaggeratedly cute poses. They appear too in Disney's 1951 Alice in Wonderland as part of the look innocent young Alice wears on her strange adventure, and later in the sunny, comforting world of Ladybird Books’ Peter and Jane series which launched in 1964. These enduringly familiar images not only reinforce Mary-Janes as a style which is worn by children, but also connect them to a particular representation of childhood characterised by wholesomeness and wide-eyed naivety. 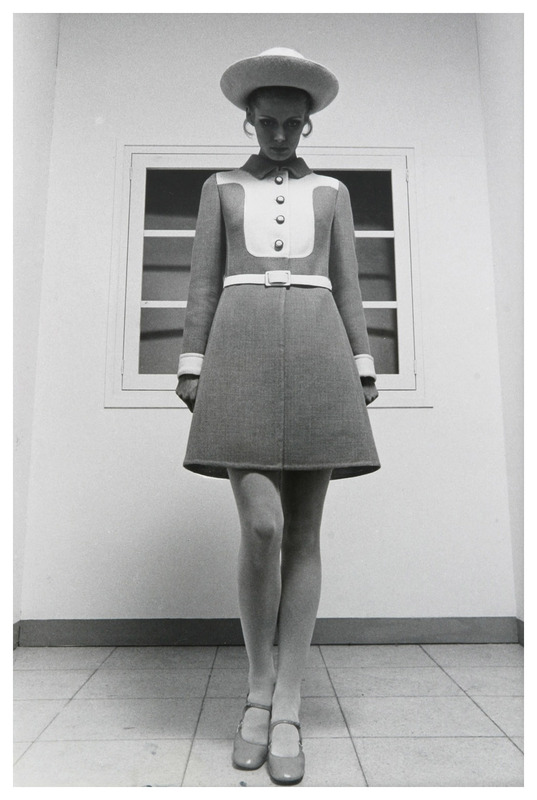 In the 1960s, Mary-Janes were incorporated into exciting new fashions for young adults, including the work of two of the decade’s most famous designers: Mary Quant and André Courrèges. The fashion photographs which depict Quant’s designs commonly feature Mary-Janes with baby-doll dresses and ‘ditsy’ floral prints. The childlike elements of these styles are often emphasised by pigeon-toed poses and eyes made extra-wide with eyeliner, as well as by the physique of models like Twiggy who exemplified the new ’60s body ideal of flatter chests and long, slender limbs. The presentation of Mary-Janes in these photographs is similar to that in images of Shirley Temple, but when worn by adult fashion models such allusions to children’s clothes convey a different meaning. Here they help to assert the youthfulness of a generation of young adults who were seeking to express a fashion identity distinct from their parents. Mary-Janes also feature in André Courrèges’ ‘space-age’ looks, which included structured, streamlined dresses; helmet-like hats; and newly-developed fabrics. Mary-Janes in young adult fashions of the 1960s often reinforce the shoes’ childish connotations, but they also associate them with other youthful attitudes including optimism about modernity and new technologies, and openness to experimentation. During the early 1990s, Mary-Janes were given a different spin by American musician Courtney Love who was involved in the alternative rock and grunge scenes developing in Washington. Also emerging around Washington was the radical feminist movement Riot Grrrl which spread its message through punk music and homemade 'zines' that typically mixed stereotyped images of femininity and headlines from women’s magazines with feminist slogans. Although not a direct proponent of Riot Grrrl, in many images from the ’90s Courtney Love similarly subverts stereotypes of femininity by styling Mary-Janes, baby-dolls, and pageant queen tiaras with bleached and tangled hair, dangling cigarettes, and open-legged poses. Like the ’60s images mentioned, these shots of Courtney Love associate Mary-Janes with contemporary youthful movements. However whereas with Quant and André Courrèges the shoes reflect youthful optimism, the images of Love connect Mary-Janes both with grunge’s sense of youthful angst and social alienation, and with the anger and desire for radical change behind Riot Grrrl. Images of Shirley Temple, Twiggy, and Courtney Love all reinforce the associations between Mary-Janes and girlish innocence, even if they simultaneously repurpose or reject them. They also demonstrate how the wearer’s status and the context can profoundly change the meaning which a garment conveys. Elizabeth Francis, Costume Society Ambassador, 2016. Twiggy by Bert Stern for Vogue, 1970. The Red List. Patty Schemel, Courtney Love, Kristen Pfaff, and Eric Erlandson. Photo Jeffrey Thurnher.